This year’s Baseball Hall of Fame class will be announced Wednesday night, and two former Indians’ players are on the ballot for the first time. Slugger Jim Thome and shortstop Omar Vizquel played for Cleveland during the ‘90s. WKSU commentator Terry Pluto is among the more than 400 members of the Baseball Writers Association of America who vote players into Cooperstown. He says he voted for Vizquel, but it doesn't look like the Gold Glove winner will make it this year. Pluto says most voters make their ballots public, and early voting results charted by Hall of Fame tracker Ryan Thibodaux indicate nine of the 33 candidates have a shot to get the needed 75 percent for election. As of Tuesday, Vizquel had about 30 percent support. "That'll keep him on the ballot," Pluto says. "You have to be on about 15 percent of the ballots each year and you stay on." But, Pluto says he's surprised by how little support Vizquel received. "The challenge is where you define greatness." Jim Thome, for example, had about 93 percent support as of Tuesday. "He's a no-brainer because of his 612 career homers. Home runs are easy to identify with. It's an easy one. But how do you define someone who is a really good shortstop -- a defensive position?" "Sometimes, I think it comes down to the eye test," Pluto says. Vizquel played for smaller market teams during his career. In addition to Cleveland, he played in Seattle and San Francisco. "I would say most of the time he played where most people didn't see him play. And when he was on the Indians, he was on the team with all those sluggers -- Jim Thome, Albert Belle and Manny Ramirez. He was not a tremendous hitter and people just don't see." Still, Pluto argues Vizquel is one of the all-time best shortstops. "He won a Gold Glove at 39, which is unusual for a shortstop, because of the demands of the position. While Omar never had a bullet arm, he was always just getting a guy by a step." "I don't know if Omar is ever going to make it," Pluto says. "I do think what sometimes will happen is others -- like myself -- will write about the travesty. And it will cause people to reconsider their votes [next year]. And hopefully Jim Thome will come out and say, 'Omar Viquel should be standing next to me.'" Meanwhile, Pluto notes that the Indians currently have a Hall of Fame-caliber shortstop on the field. "Francisco Lindor has has a little more range than Vizquel. He's going to put up bigger offensive numbers than Omar if he continues his ascension." Cavs’ star LeBron James is on pace to hit a milestone this weekend. He’s closing in on becoming just the seventh player in NBA history to score 30,000 career points. But WKSU commentator Terry Pluto says scoring the most points has never been James' goal. 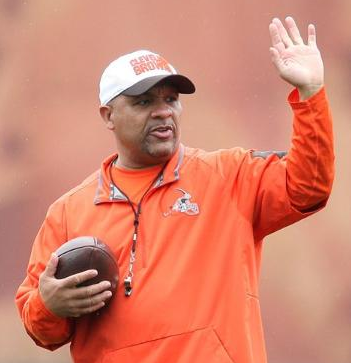 Now that the Browns have completed their winless season, questions are swirling about why the team is sticking with head coach Hue Jackson. Owner Jimmy Haslam maintains that Jackson will return next year. WKSU commentator Terry Pluto says no coach in NFL history has a 1-31 record in just two seasons. 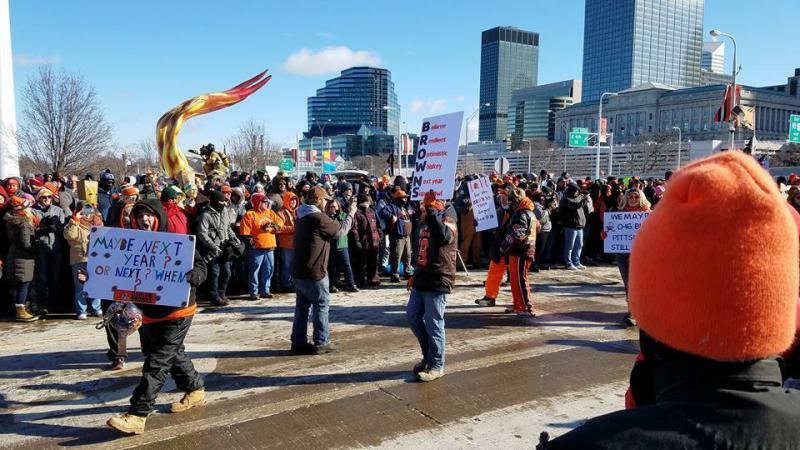 The Browns 0-16 parade this past weekend drew a lot of criticism. In a Cleveland Plain Dealer column last week, WKSU commentator Terry Pluto called the event marking the team’s winless season a ‘zero.’ But he’s since changed his mind.